In a week we do tend to complete a lot of bookwork as there are lessons that need bookwork in order for the child to learn and practise such as Handwriting, Comprehension etc etc. 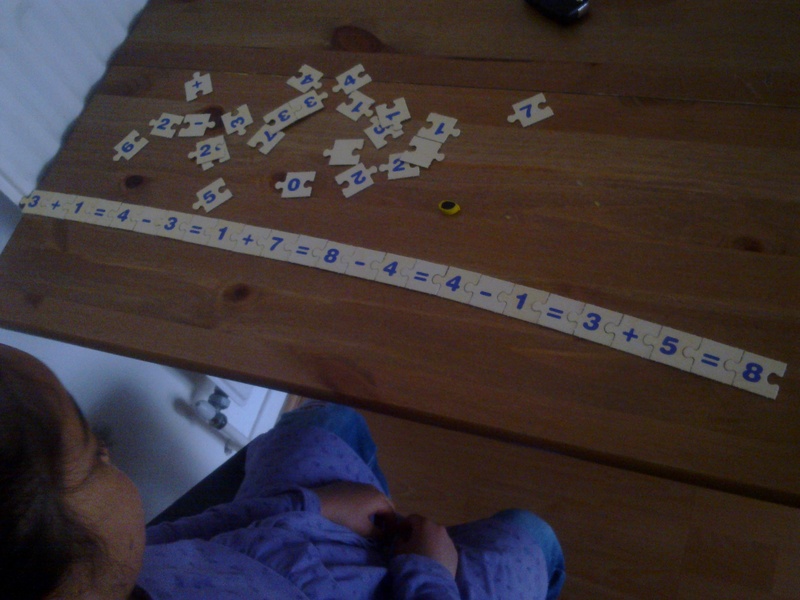 For Math, R is working her way through Year 1 of the Hungarian MEP programme. She has been working on < and > (greater/less than) and adding numbers, subtracting and has had to complete quite complex sums using <,>,+,-, = sometimes all in one sum! 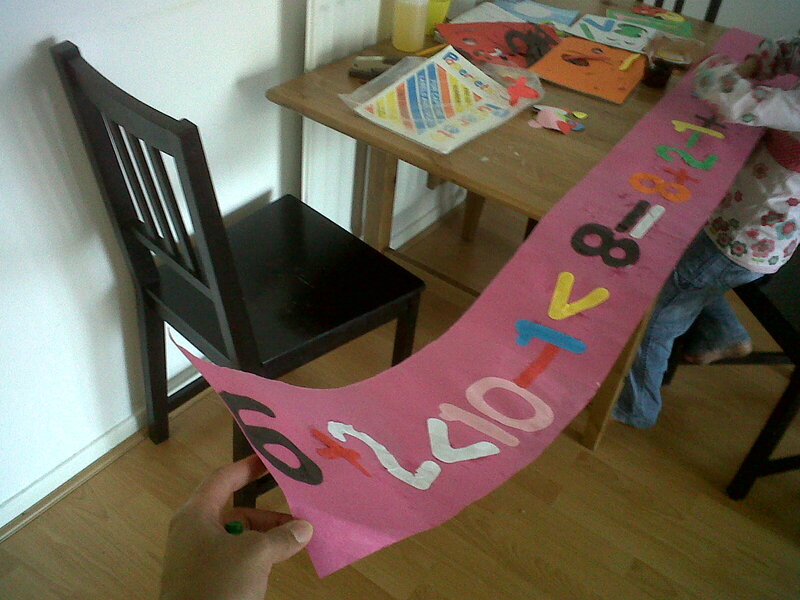 Anyway, I found some ready made number sheets in different colours. I made a long strip of paper from sugar paper and gave her the pack and told her to complete a long sum using the above signs. She enjoyed it. We were finally able to record results for our fungi experiment. Basically, the bread that was left outside took a long time to grow fungi. I explained to R that I think thats because its getting colder and so the garden air acts like a fridge. 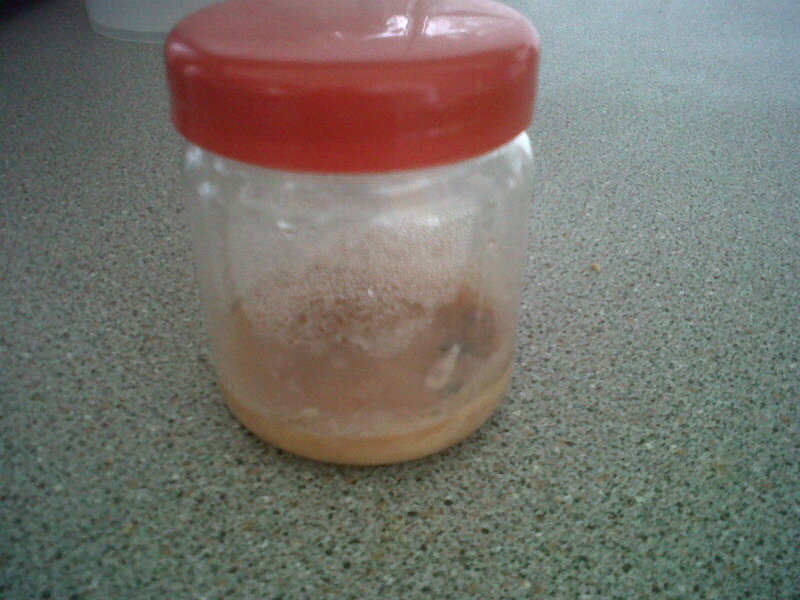 The bread that had water added to it kind of just became a ‘puree’ but then the bacteria started to grow. 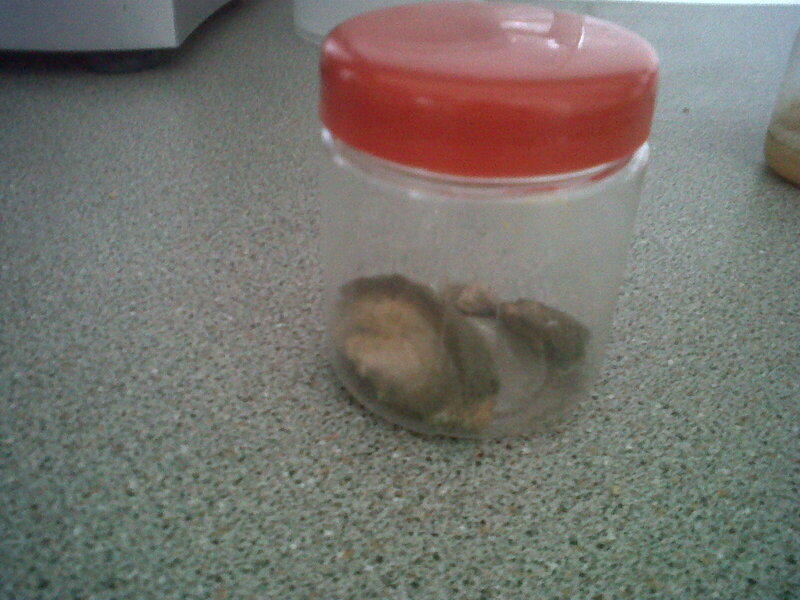 The bread that was just placed in the container grew fungi very quickly. Green and just yucky! 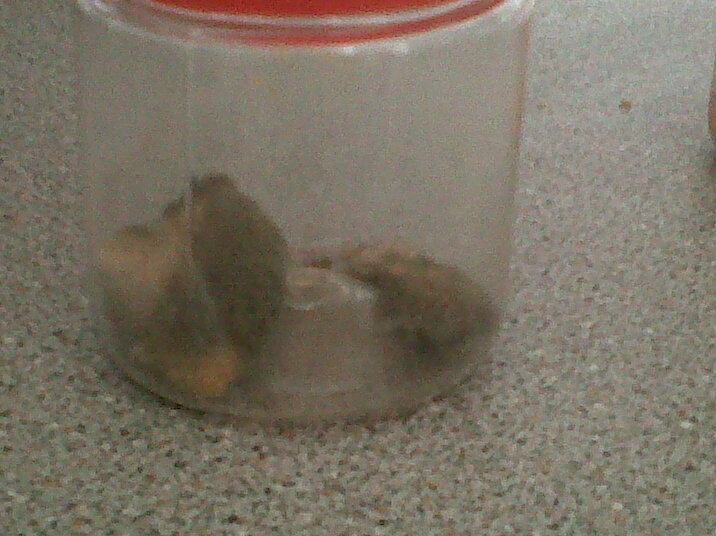 These pots were living in my kitchen and really it did make me feel sick having to cook with them there on the kitchen top. Glad we’ve got that out of the way. I think its made R a bit paranoid as now she seems to be turning over fruit, bread and cheest to make sure there is no fungi! As part of our Surah Naas project, we were still working on cardinal directions. 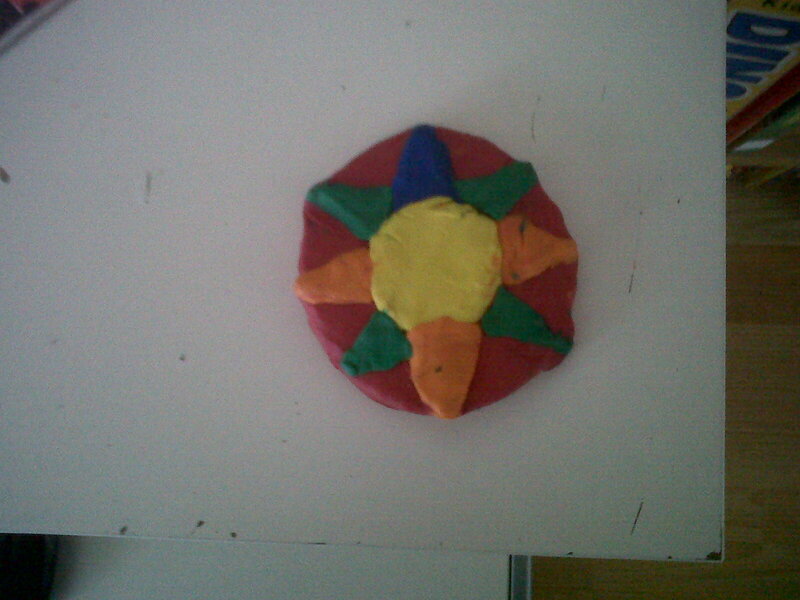 R made a compass rose. The instructions said that she had to make salt dough to make it. But she protested saying that we can’t waste flour like that when people are starving in the world. Gotta say that I was very embarassed when she said this and quickly put the plain flour back into the cupboard. So, instead she decided to use playdough (isn’t playdough from the shops made of flour too??!) The blue triangle is North. The orange are east, west and south. And the green are NE, SE, SW, and NW. We’ve almost come to the end of our Surah Naas project. So keep an eye on the blog for my post where I will be posting PDFs, instructions etc of how to do your own Surah Naas project inshaAllah. We just have one more thing to do this coming week and then we’re done and will be moving on to Surah Falaq. 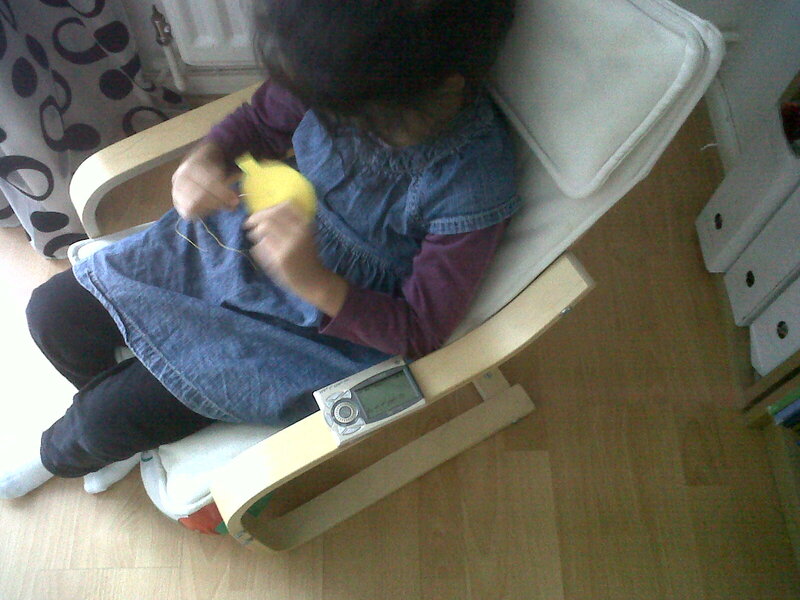 R keeps on asking me to teach her how to sew. I really don’t have the time at the moment. 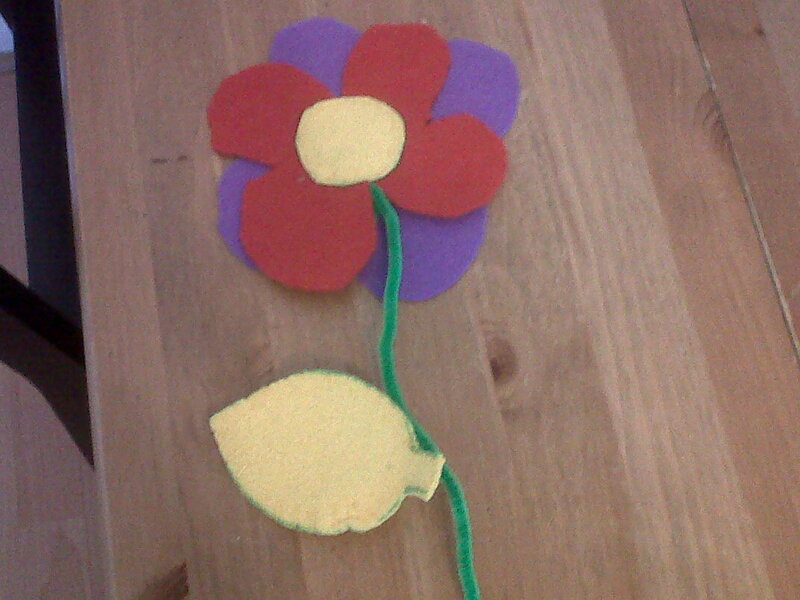 So, instead a really quick and easy sewing project was making a leaf and flower from felt. Drew a leaf shape on A4 felt folded into 2. R cut it out and sewed around it. 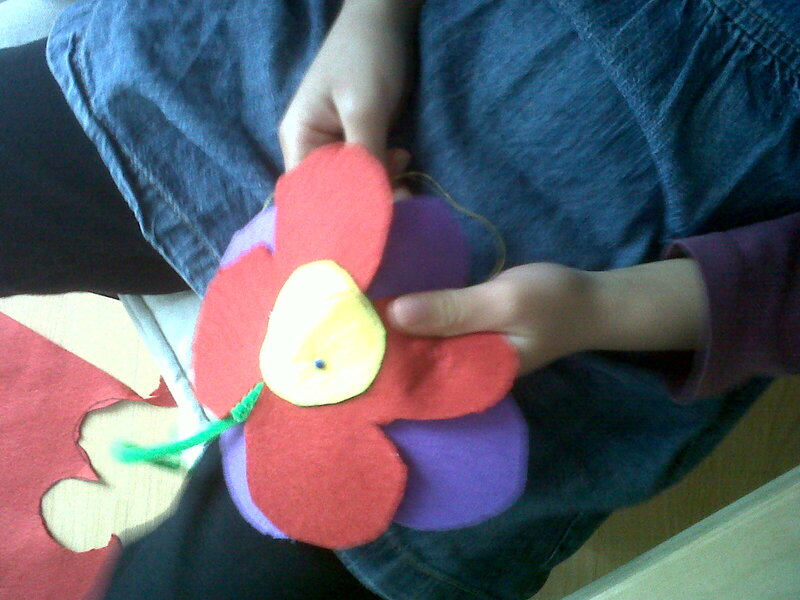 She then drew a flower shape in purple, then one in red and a middle yellow circle. Placed a pipe cleaner between the two layers. 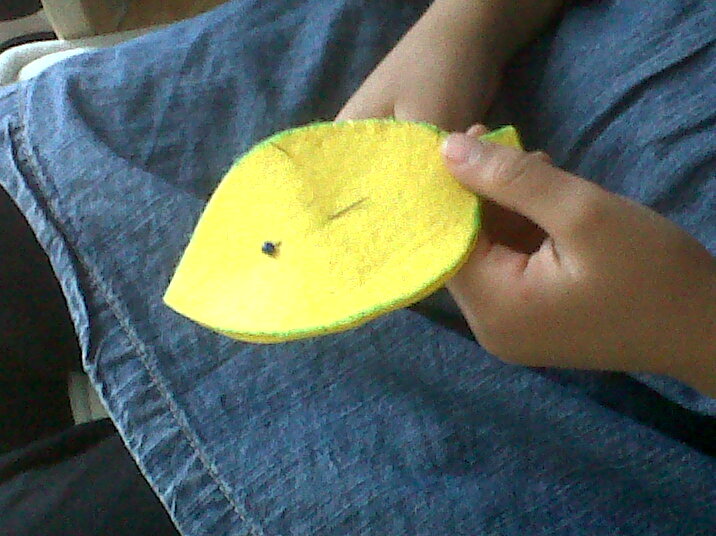 Placed the circle on top and sewed around the circle part to keep the whole thing together. Really simple to do and she really enjoyed it. 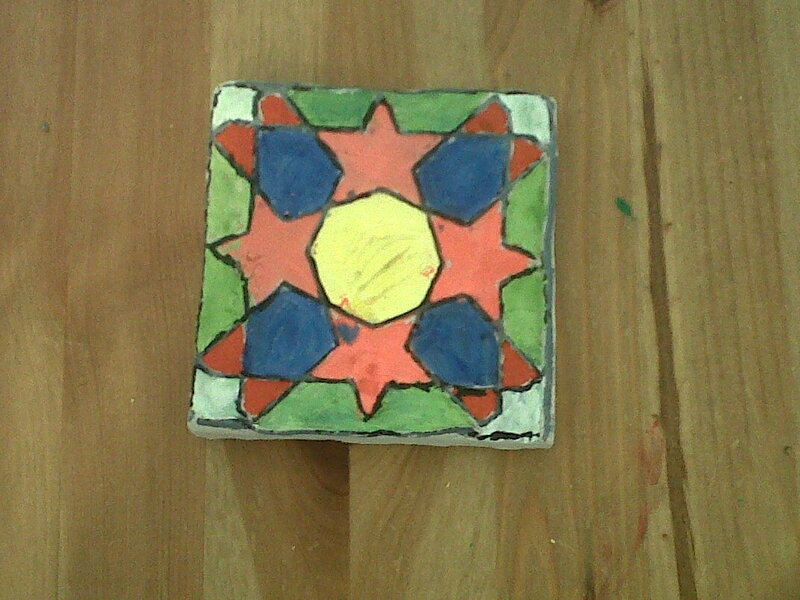 Another bit of art was painting an Islamic Art Tile that she made when we went to the Eid Festival in Dunstable Downs in September. 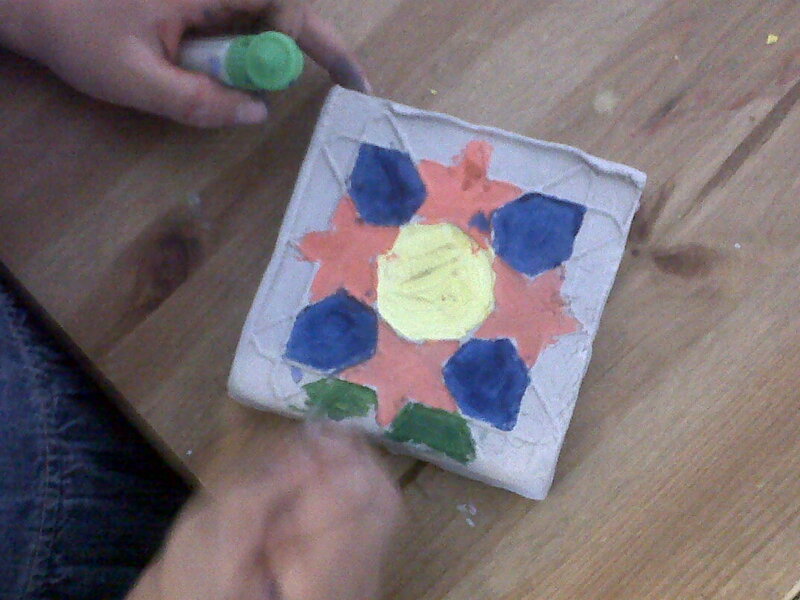 We discussed geometry, shapes and symmetry. 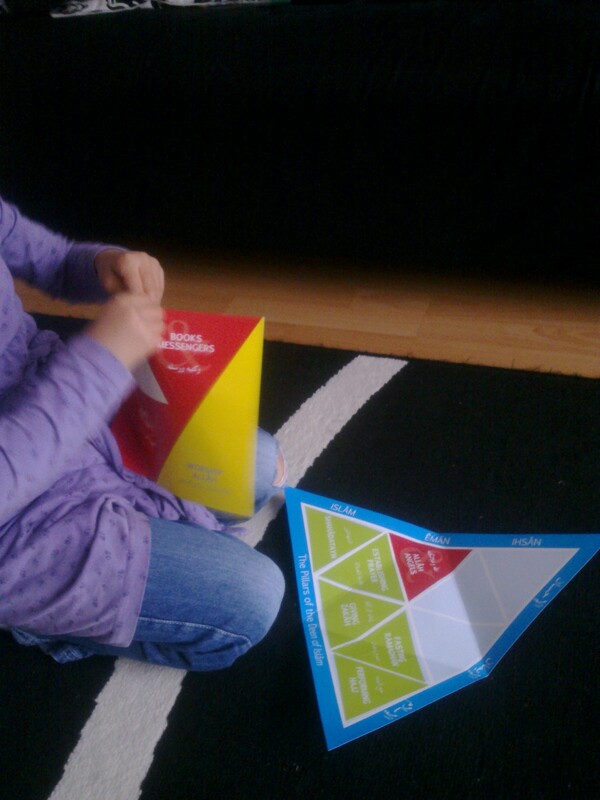 She was really into this some months ago and her interest has started up again. But I don’t know where or how to direct this interest. Any ideas??? 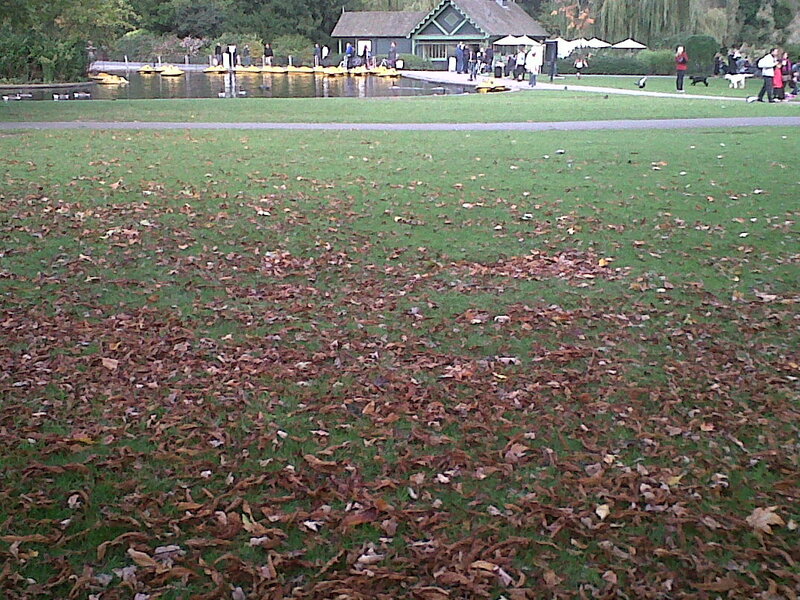 A close up of the above picture. 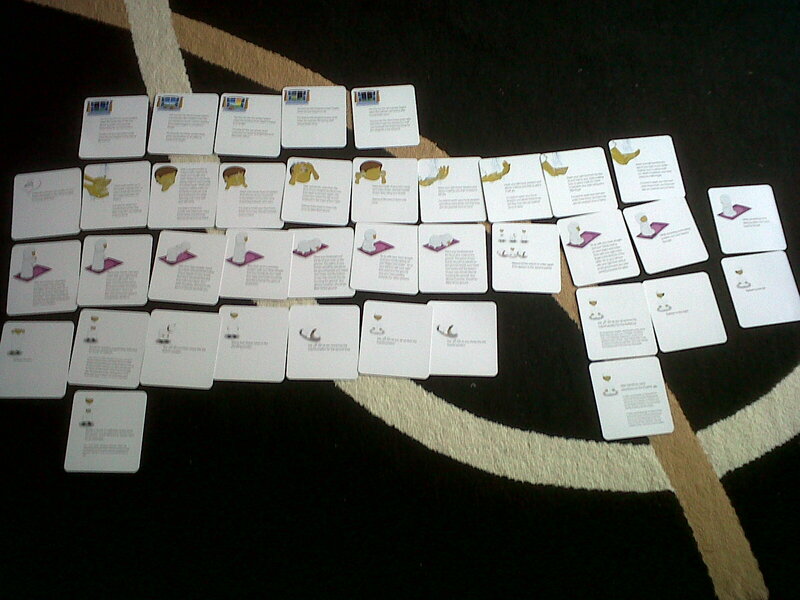 This is a picture of all the cards from the first picture above turned over. So, on the back of the salah times is a description of when the time begins and ends. 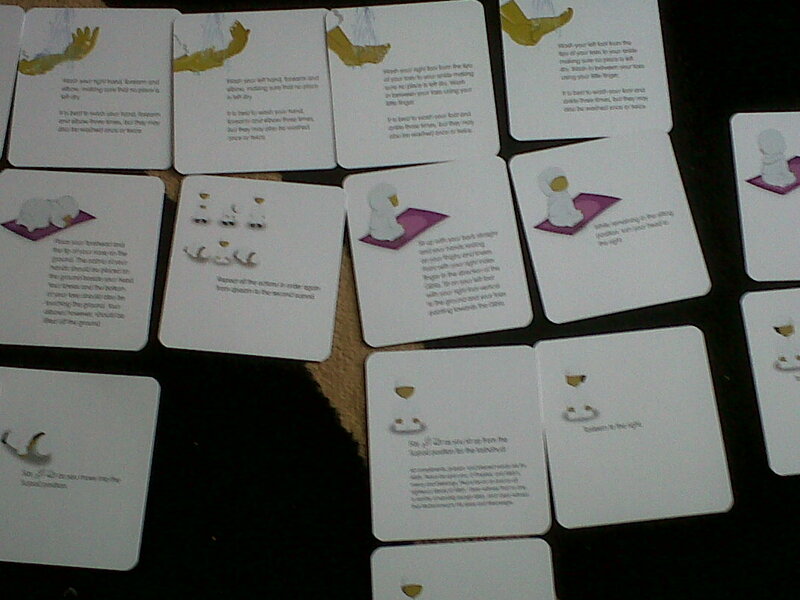 On the back of the wudu cards are explanations of each part of wudu and how to do it. On the back of the position for prayer cards are instructions of how to make ruku, or sujood or the other actions properly. 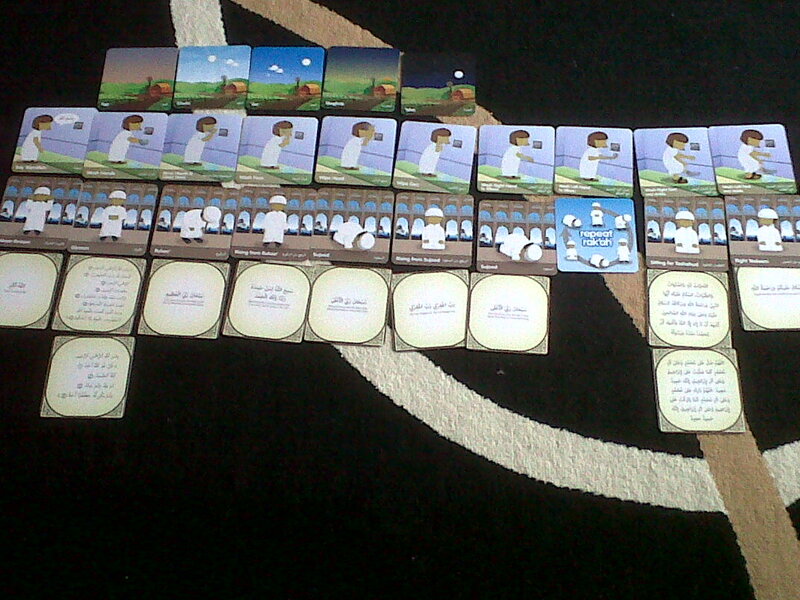 And on the back of the speech in the salah cards is the position that comes next and what to say. 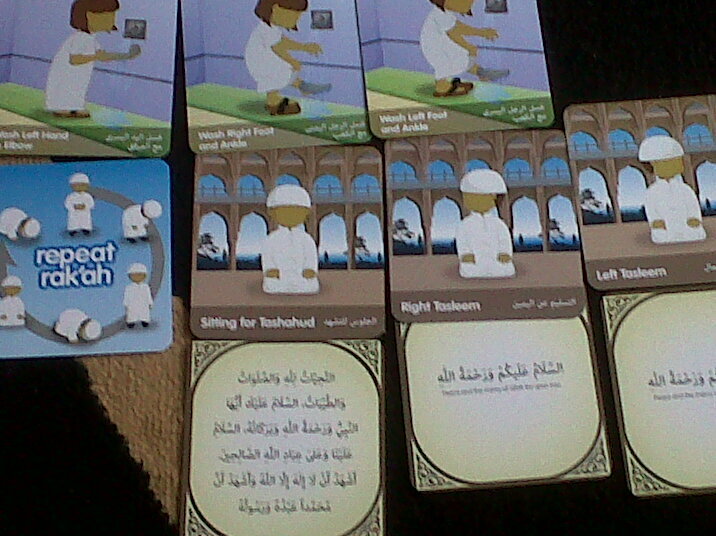 These are just fantastic and I think a definite must have for kids in every muslim home. 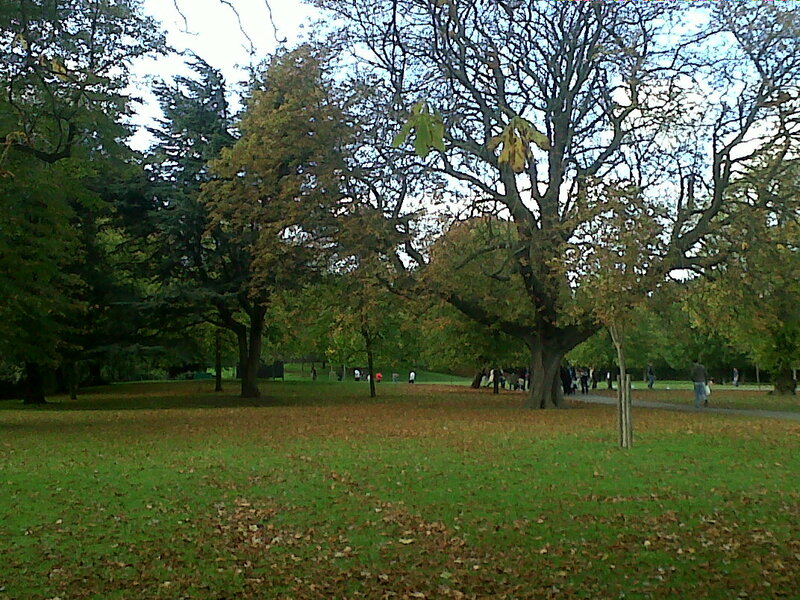 So, we went out and we observed Allah’s beautiful creation. 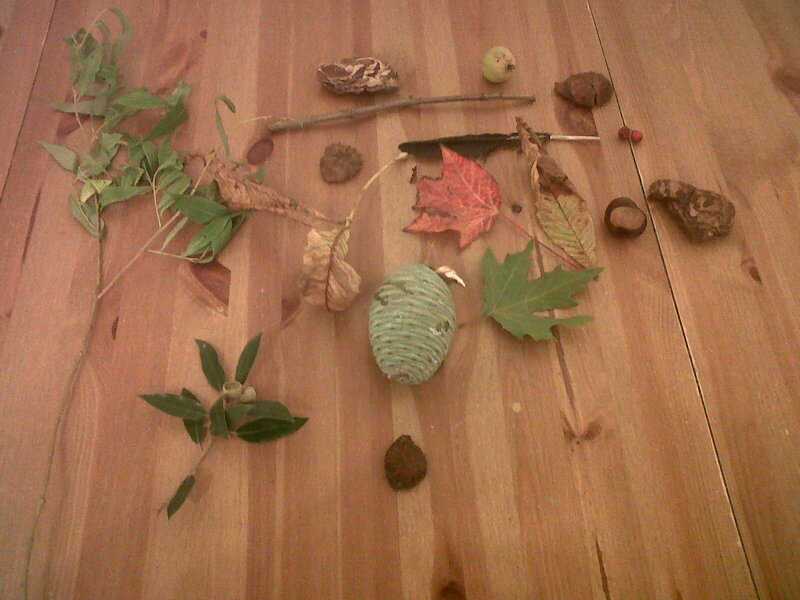 We looked at huge trees, and the smallest leaf and nuts and berries. R want to collect quite a lot and put a lot into her bag to take home with us. 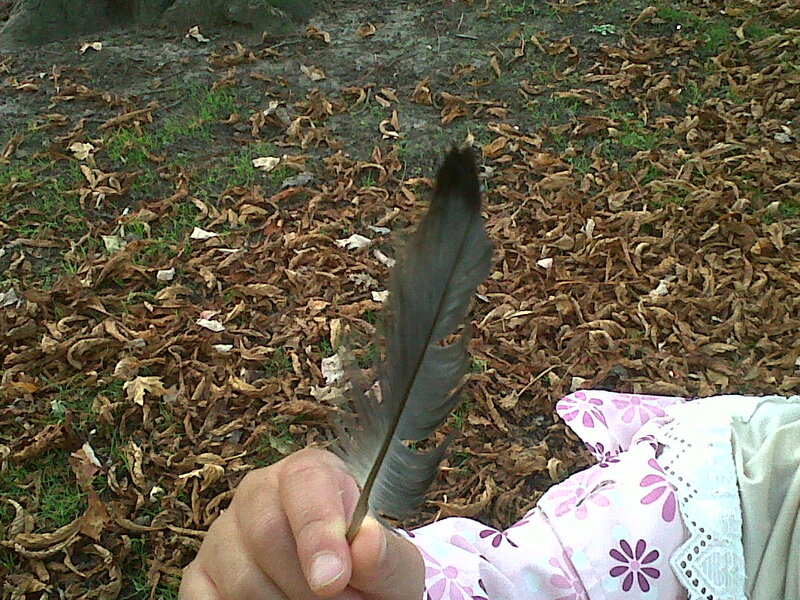 This is what she picked up in a London city park! That big green oval shape is a pine nut (I think) which actually hasn't opened yet. It's quite heavy! Can you imagine if that fell on your head as you walked under a tree! 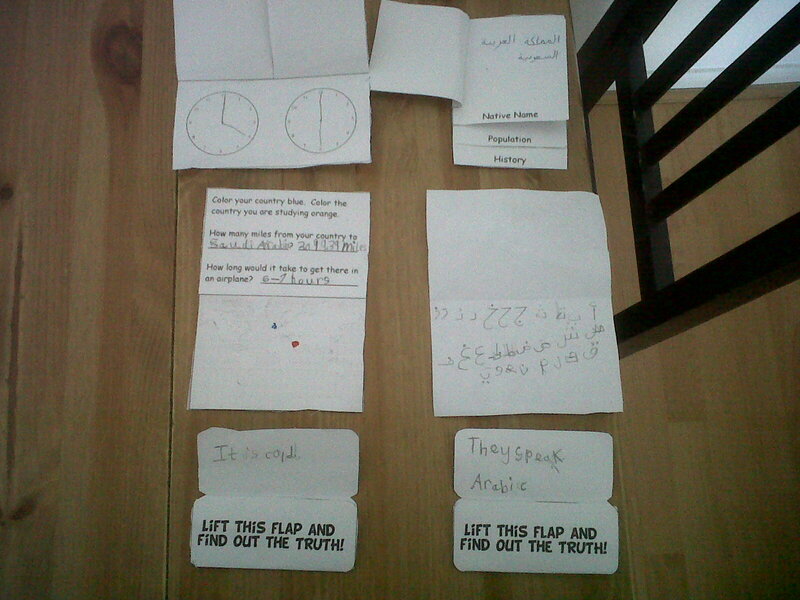 This week, I will try and find some time to investigate two of the things that she either observed or picked up in more detail inshaAllah (this is suggested in the Outdoor Challenge #1). 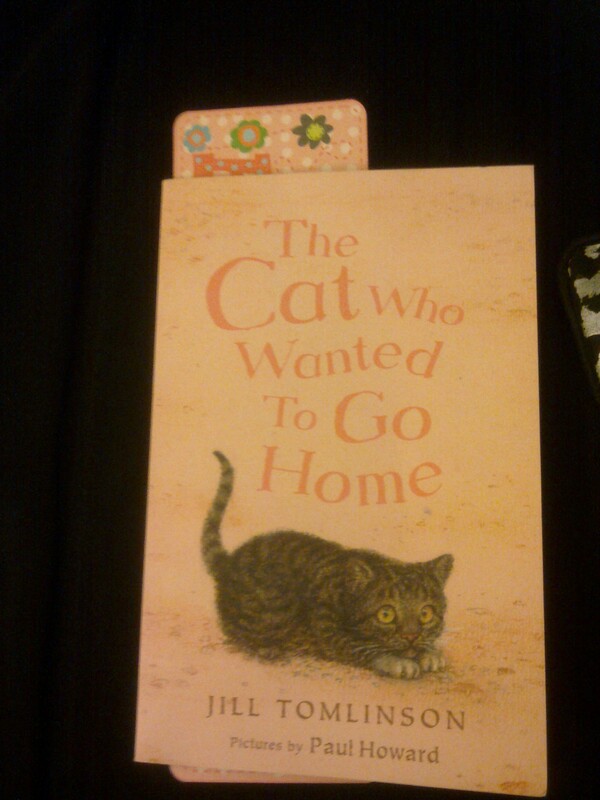 Really enjoyed this and I hope to keep this up. You don’t have to go far to do this. Even a walk up your own street will suffice. 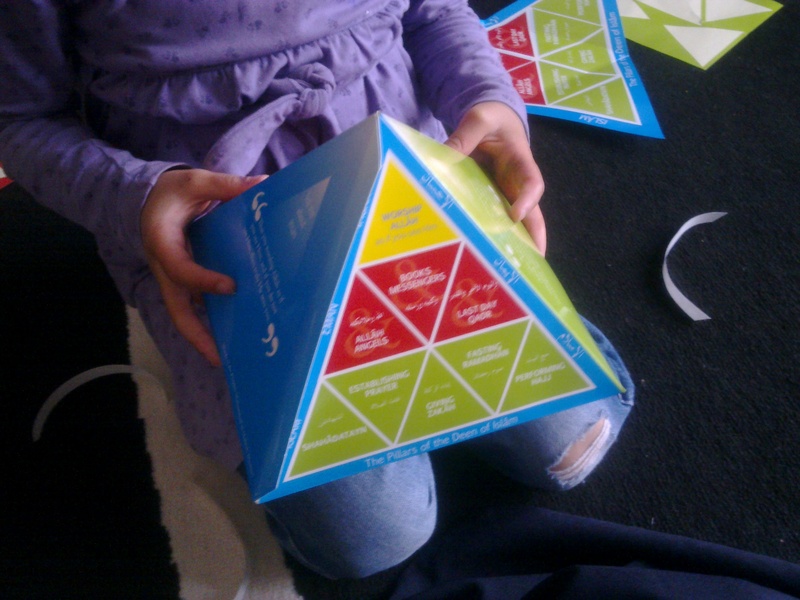 So, you see, home ed doesn’t just have to be about workbooks. 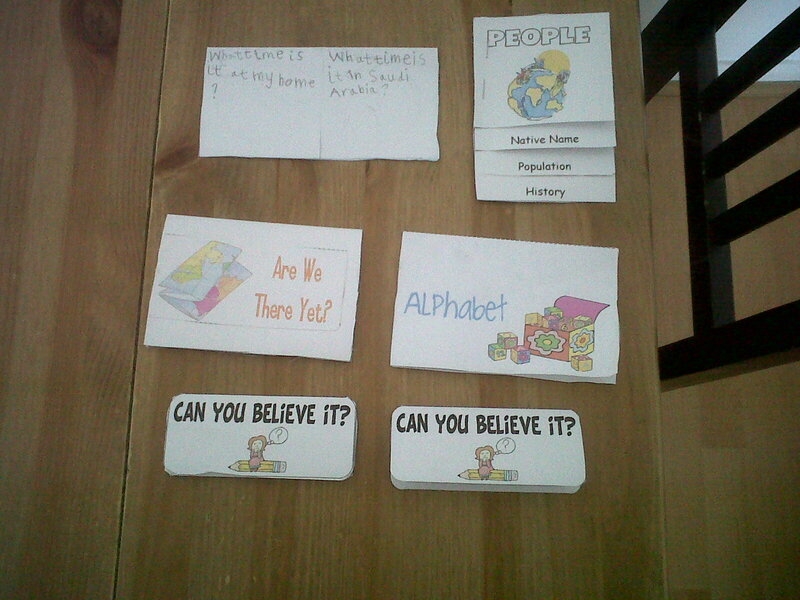 Learning can and in my humble opinion should be conducted in a variety of fun ways. I saw another homeschooling blogger do this and I thought I would have a shot (more for myself so as to see how I use my time). As part of our work on surah naas. We have been working on 'mankind'. So, we have been learning about continents and maps. 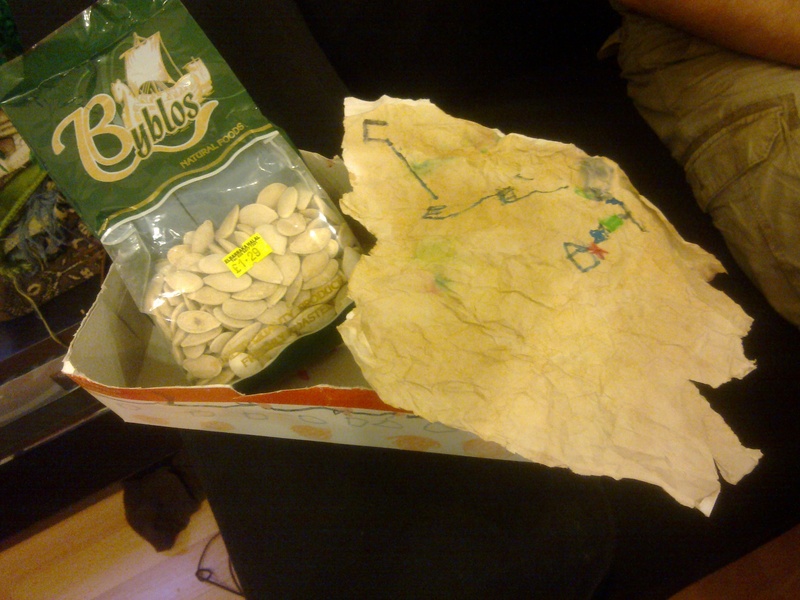 Here R drew a map which will lead to some treasure. She then ripped the edges. I made myself a cup of tea. 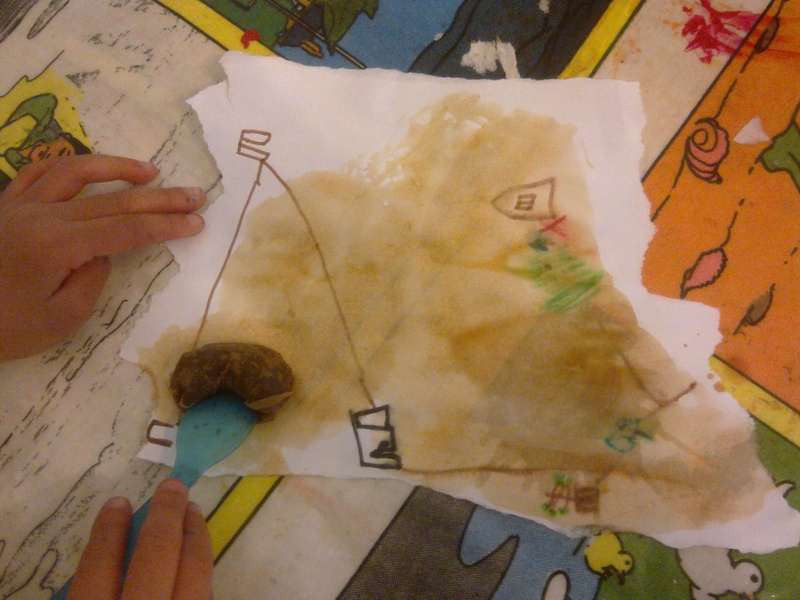 She then dragged the used tea bag over her map. 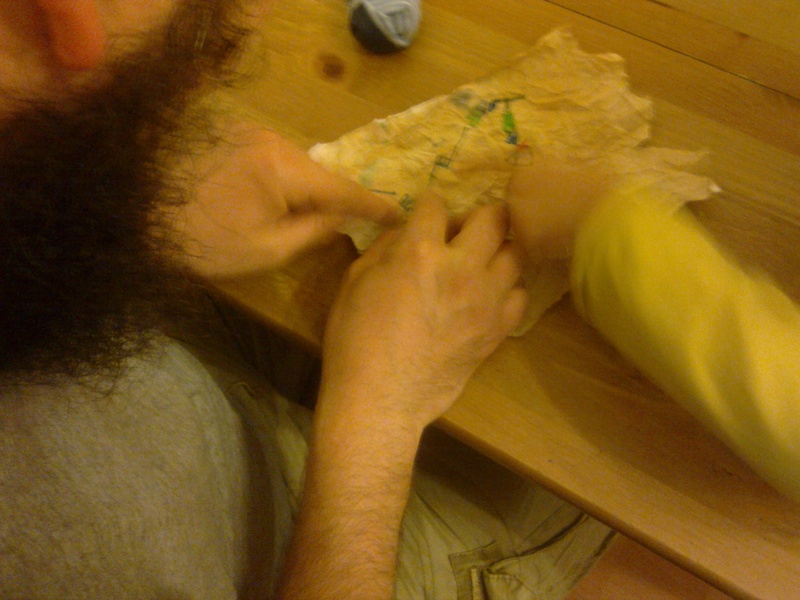 The crumpled the map into a ball and left it to dry overnight. Shouted at R to leave Z alone as he was playing quietly and nicely before she interrupted his play! R did her handwriting – she’s very excited that she’s working on joined up writing. I find that her handwriting hsa become a lot neater since she’s been joining up. Screamed at Z for getting out of his car seat and standing up! Shouted at Z in the supermarket for a) taking his brother’s socks off and throwing them on the floor b) for pinching his brother’s feet and c) for standing up in the trolley child seat trying to reach for stuff on the shelves! R used addition and subtraction to make this 'train'. I left her to it and then checked once she had finished. 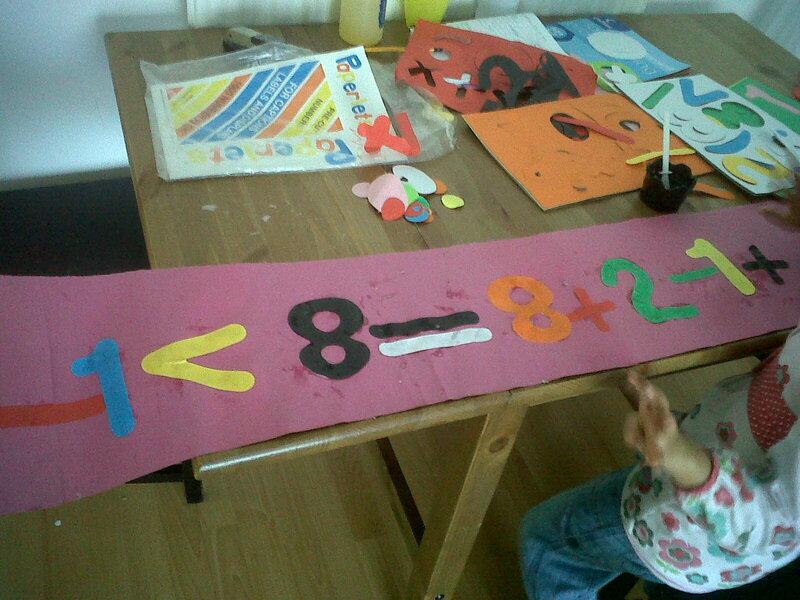 She basically had a pile of numbers and some + and - signs and just had to carry on. 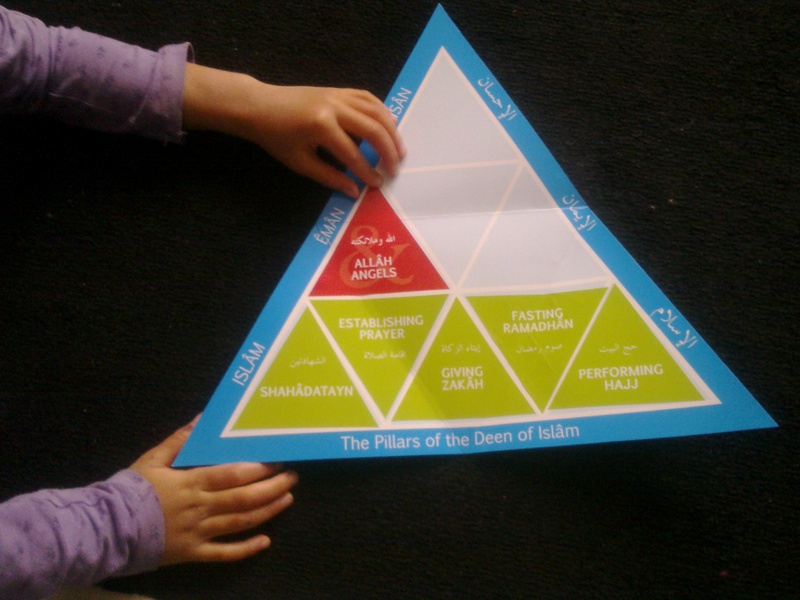 I told R the hadith of Jibraeel (AS) and she made a Pillars of the Deen poster and pyramid from learning roots. Continued with the dawah article – finally finished it and sent it to the brother who is running the campaign. R made a treasure box in the morning from a recycled tissue box and she put her Abi's 'treasure': his beloved pumpkin seeds! Looked over Year 1 MEP and made notes of what subjects are missing from there which I need to find resources for (this is in case R has to go back to school at one point) I want her to be up to date as per the national curriculum as well. What have I learnt? Need to seriously make dua to have more sabr with Z and really work on my anger management!